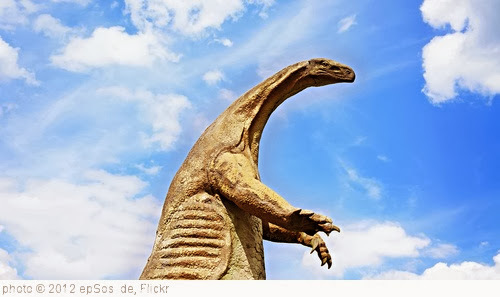 Check-out my New York Times post for English Language Learners on dinosaurs. There are few people of any age who are not interested in dinosaurs. So, since I’m always interested in trying to identify engaging reading materials for my students, I thought I’d develop this “The Best…” list. The CBBC has a nice guide to dinosaurs. Scholastic also has a good feature on dinosaurs. PBS also has a children’s show called Dinosaur Train, that has good, simple dinosaur materials. Ology, at the American Museum of Natural History, has a big section on dinosaurs. Enchanted Learning — Zoom Dinosaurs has resources that are very accessible to English Language Learners. The Smithsonian, of course, has plenty of dinosaur resources. Dinosaurs For Kids also has quite a few accessible resources. The Reign of Dinosaurs is an interactive timeline from The New Scientist. Dinosaur World is an interactive from the BBC, which also has many other features. The National History Museum also has some good accessible materials. The BBC has a very thorough interactive on dinosaurs. Here’s a virtual dinosaur dig.